Ooop, there we go again. Remember my old Razor mouse? 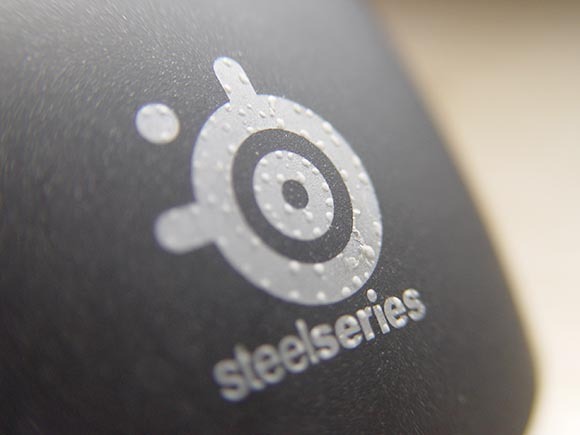 Remember how I got a sweet new SteelSeries mouse? Well, it turns out that it recently got the Computer Mouse Measles. How long do I have Doctor? It’s 4 months after the purchase and litte bubbles started to appear on the logo. I assume the logo is some kind of a sticker. That sticker is apparently unable to withstand the biochemical assault from my savage palm. I swear, if I ever get into prison, I will be able to break out simply by putting my hands on the wall every day. On a more serious note, it doesn’t look as this will be a major problem. I assume the bubbles will get bigger, pop and then the sticker will start to flake off. The bubbles appear only on the sticker and nowhere else on the mouse. Still, it bugs me a bit. Especially since the mouse wasn’t cheap. I just hope that it won’t ruin the looks of the mouse. Besides that, there is one detail I also dislike about it. The mouse itself has apparently a small flash drive built in it. That way, it can save different configuration profiles. The problem with that is that the computer won’t start up while the mouse is plugged it. I need to unplug the mouse before I boot up and plug it in afterwards. The flash drive somehow messes up the boot sequence. Also, once plugged in, it takes a good 15 seconds for the mouse to get recognized. Noticeably more than a regular mouse. Long enough for me to get impatient and start using the trackpad. Again, not really big problems but certainly small inconveniences that people interested in the mouse might want to consider. So now let’s see if the mouse will be able to recover from the measles without any major disfigurements. I’ve just switched from using a mouse to exclusively using my new MagicTrackpad. Since the support landed in the new Ubuntu I was eager to get rid of the old mouse, since I consider it unnaturally. Effecient though unnaturally. I admit that many Mac-like gestures do not work yet, though the important ones like scrolling do. As far as I remember you’re running OSX, right? What makes a person consider a mouse with Apple’s great implementation of gestures? Disclaimer: I’m not an Apple fanboy and I really despise some of Apple’s policies. On the other hand I DO think that they have very nice multi-touch features. I’m using a Mac but I’m not using OSX. I like the scrolling gesture. Pinching works well on iPhone, too. That’s about it. I generally dislike trackpads because it’s difficult to separate movement from clicking. It doesn’t help that apple always seems to try to get away with buttons.